Most of us have come across the cobbler at the back of Hillcrest Centre at some stage. 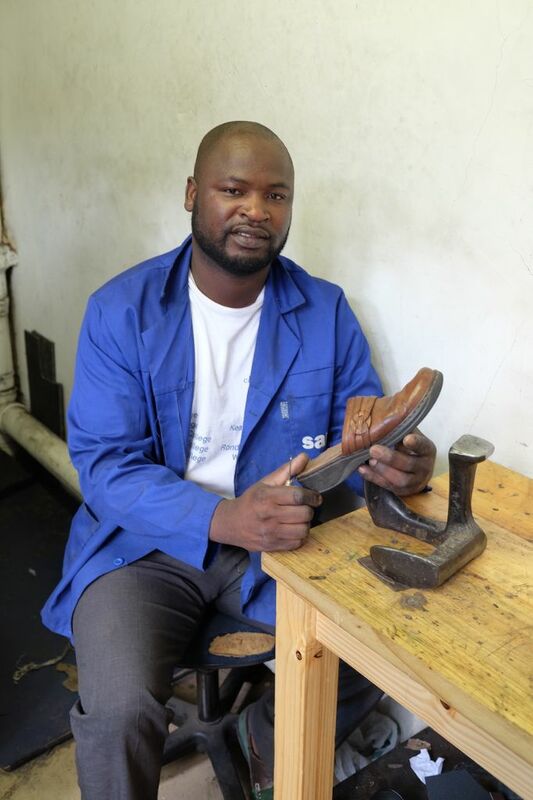 Jabulani Ngwane has been around for over 10 years and is a big part of our community, repairing our favourite and much-loved pairs of shoes that we find so hard to part with. After the centre recently went through renovations, Jabulani was kept a space – just to the right of the new restaurant Platzz. Jabulani repairs all types of shoes, belts and bags – his turnaround time is around two days and he is open Monday to Friday from 8am to 5am and Saturdays from 8am to 2pm. “I love my job, I love working with my hands,” smiles Jabulani, who lives in Mariannhill with his wife and four children.